People all over the world continually keep track of important dates for themselves and their communities by using calendars. Birthdays count the number of times the Earth has gone around the Sun since a person’s birth. The celebration of birthdays or anniversaries is also a type of solar calendar. Calendars are cyclical, and people who understand the natural cycles of the Universe are attentive calendar keepers. The Maya were accomplished astronomers, and developed several calendars based on various cycles including those of the Sun, the Moon, and the planet Venus. The Haab, the Tzolk’in, the Calendar Round, and the Long Count are the most studied and well-understood components of the complex Maya calendar system. 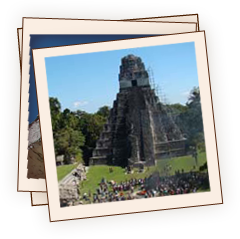 The Maya calendars serve a variety of purposes, both practical and ceremonial. The Maya recorded important events in their history using calendar dates written in numbers and hieroglyphs. Some of these dates describe mythical events spanning many thousands of years. Using their knowledge of astronomy and mathematics, the Maya developed one of the most accurate calendar systems in history. Any date in the Gregorian Calendar can be converted into a corresponding one in the Maya Calendar system. The Maya developed a writing system with hieroglyphs, a combination of whole-word symbols and syllables.